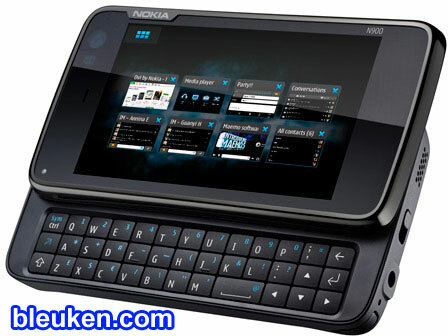 I’ve read this news from Reuters regarding the revelation of Nokia in using Linux as its operating system for its new phone called N900 tablet. Its a touch phone with a slide-out keyboard and cost about $700+ (that’s 32.9K in pesos not including the tax, wow what a price). Usually, Nokia phones uses Symbian OS as its primary operating systems for its phone and its the first for them to use Linux, an open source operating system that is known to compete Microsoft’s Windows OS. However, they’ve said that they are not putting Symbian aside and even told media that it is still Nokia’s primary platform for their phones and will make it to improve more on the coming years. Now, if you will ask me if I will buy it just in case it will be available here in the Philippines, well I like to but I can’t – I will not. I want to buy it because I want to experience how this phone works but its too impractical for my part. Its the same feeling that I felt for iPhone. But if I will be given a chance (and the money) to buy it, I love too.